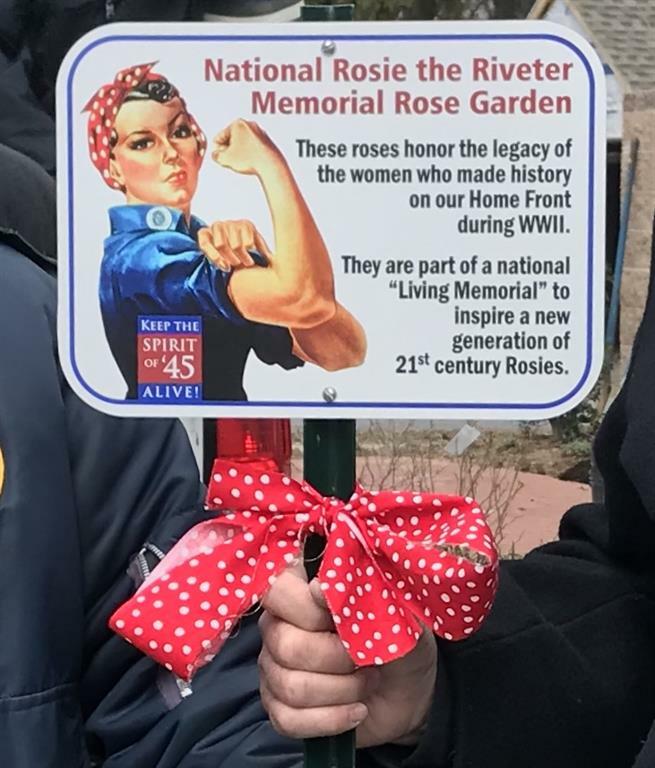 In an effort to help to ensure that the contributions of women who worked on the Home Front during WWII - known collectively as "Rosie the Riveter" - are fully acknowledged, members of the Spirit of '45 Day collaborative are leading a national grassroots campaign to create a "living" memorial in the form of a network of Rosie the Riveter Memorial Rose Gardens. 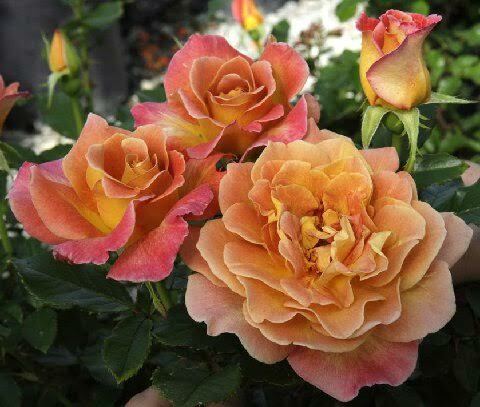 A new official Rosie the Riveter rose was introduced in 2018 by Weeks Roses and was planted by the National Park Service at the Rosie the Riveter/WWII Home Front Historical Park in Richmond, CA on National Rosie the Riveter Day on March 21, 2017. 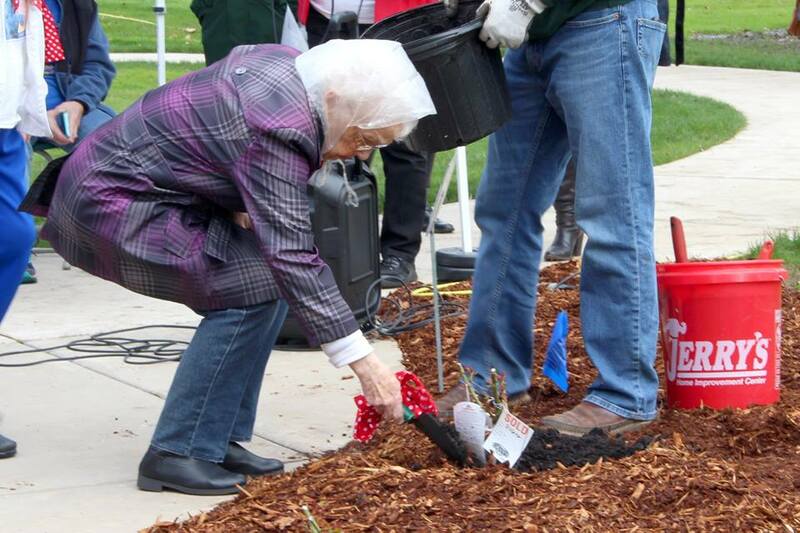 Rosie the Riveter Memorial Roses are now being planted in Gardens throughout America. Each participating Garden displays an official Memorial sign and will be listed on a national registry and locator map. 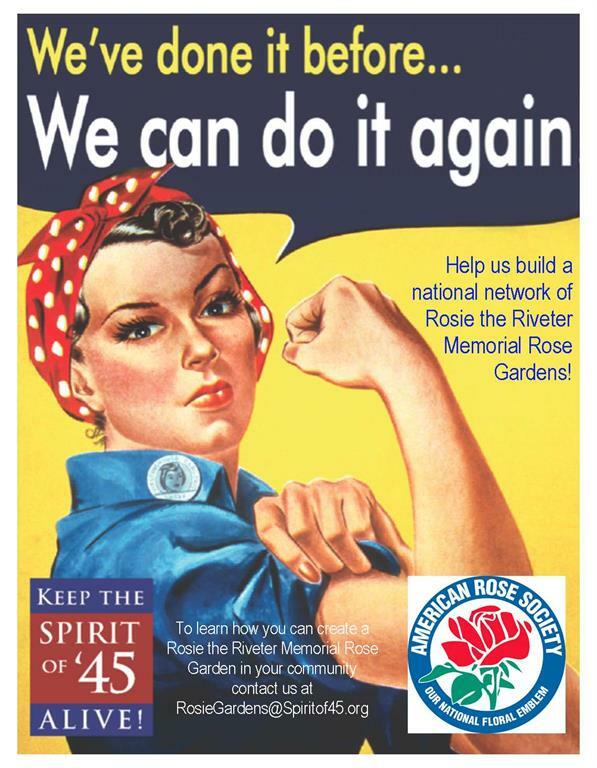 Events and activities are planned each year on National Rosie the Riveter Day (March 21st) and Spirit of '45 Day (second weekend in August) to promote public awareness about the Gardens and their mission. keep this important grassroots project growing! 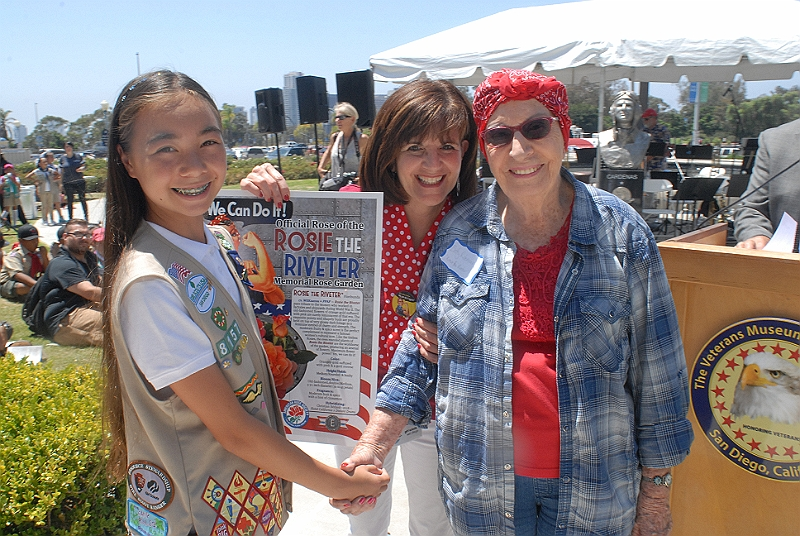 "America's Longest Working Rosie," Elinor Otto, 98, is the Honorary Chairwoman for the Rosie the Riveter Memorial Rose Gardens campaign. 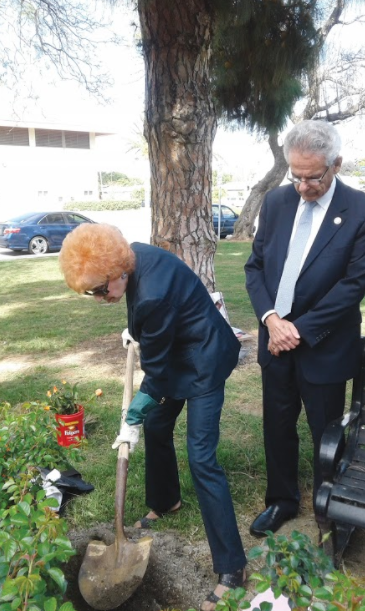 Elinor planted the first community Garden at the Rosie the Riveter Park in Long Beach, CA with Congressman Allan Lowenthal. 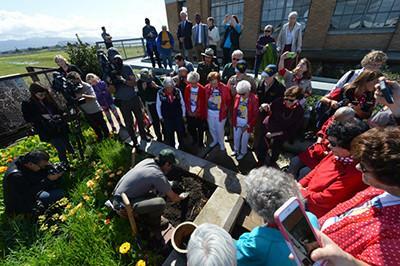 National Park Service plants first Rosie Rose at the Rosie the Riveter/WWII Home Front Historical Park in Richmond, CA. 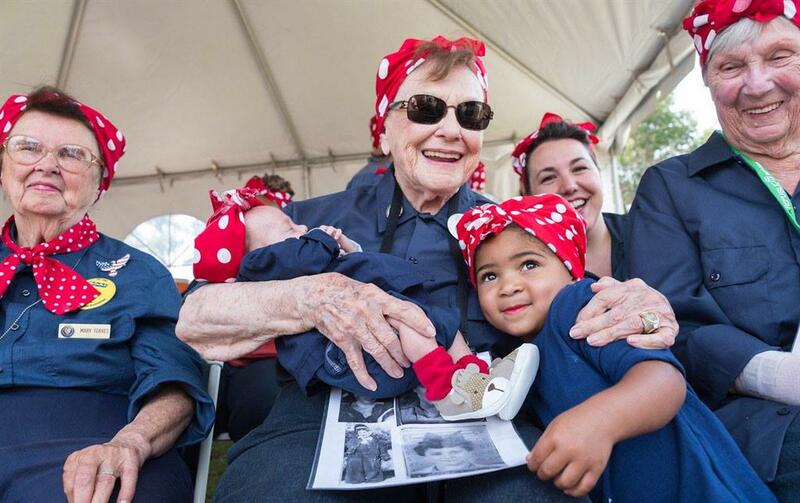 Elinor Otto and Congressman Alan Lowenthal plant first Rosie the Riveter Memorial Rose Garden in Long Beach, CA where Elinor built C-17's for nearly 50 years. 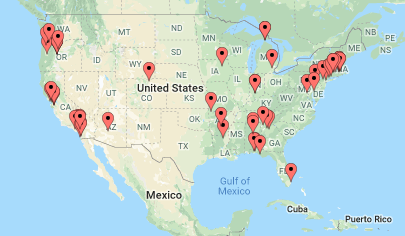 Here are some basic steps for creating a Rosie the Riveter Memorial Rose Garden in your community that can be part of the national network. 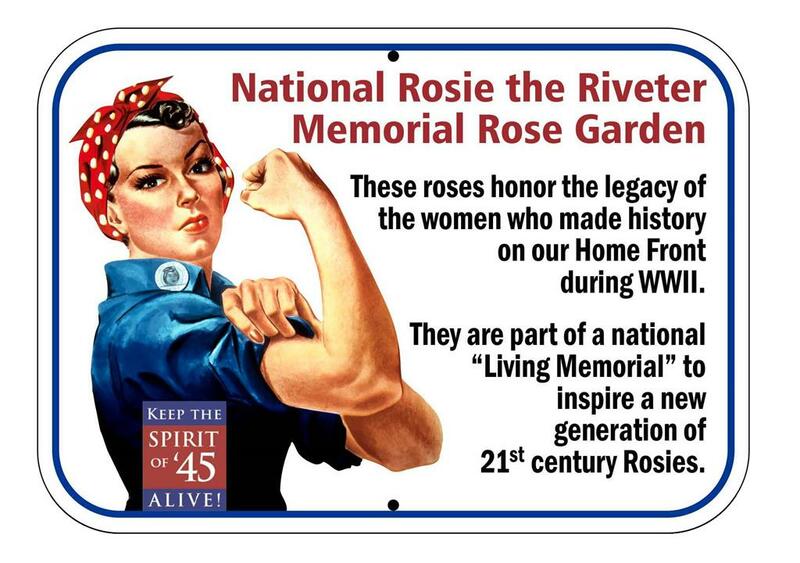 If you would like to plant a Rosie the Riveter Memorial Rose Garden in your community, please contact Linda Laurie at RosieGardens@Spiritof45.org. Rosie the Riveter Memorial Rose Gardens attract a lot of media attention, which helps broaden and deepen public awareness of their mission. Here are some examples of recent press coverage. 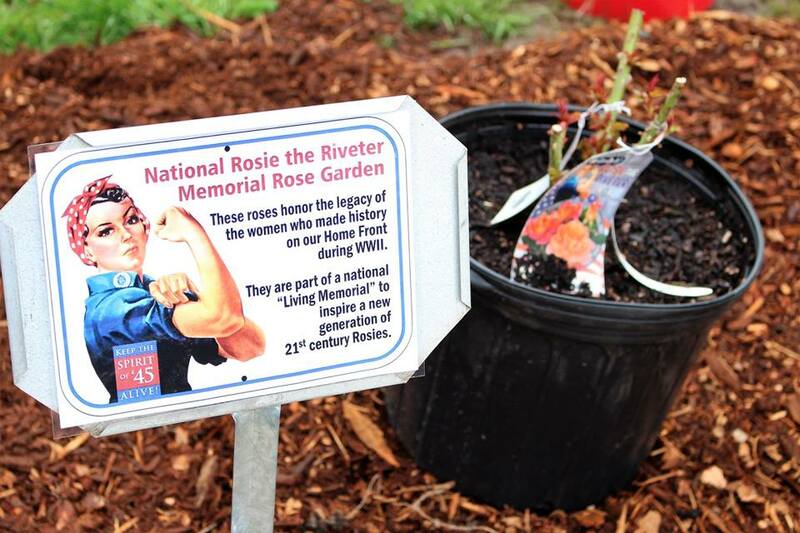 Here is the first generation of Rosie the Riveter Memorial Rose Gardens planted in the first year of the campaign, with contact information. A locator map and registry will soon be available to participating organizations. A growing number of organizations and individuals are coming together to create this "living memorial" and to help ensure that it will continue to grow over the coming years. Founding Community Partners work directly with the Spirit of ’45 coalition to guide the direction of the national campaign, and share information and best practices ideas for planning, planting and maintaining a Garden that can help expand the network to as many communities as possible.